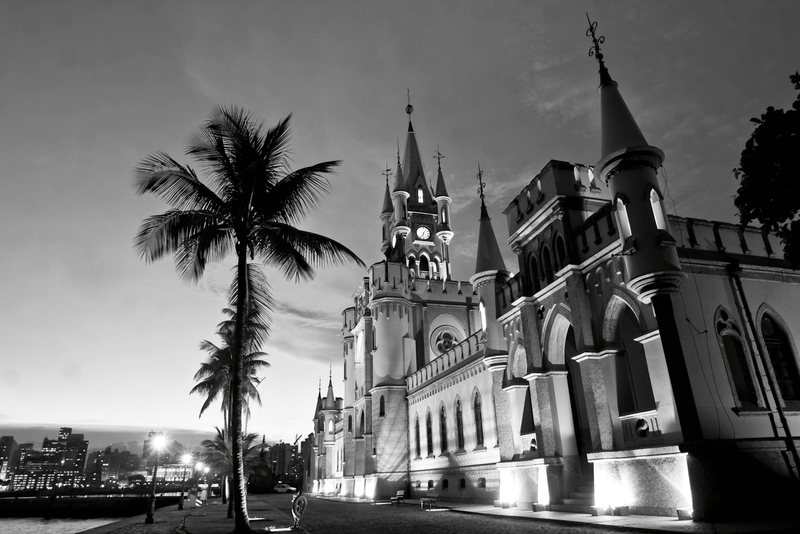 Rio's early Portuguese colonial architecture can be seen across the city. 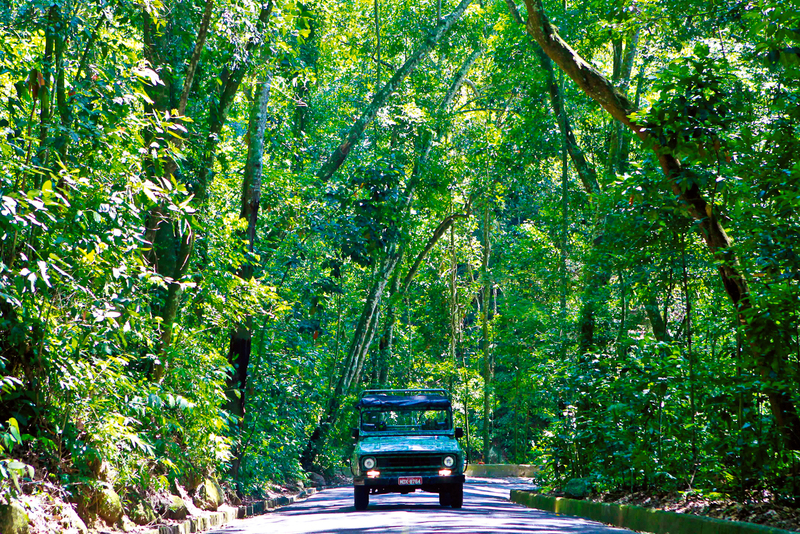 Tijuca Forest is an oasis only 10 minutes from Rio. 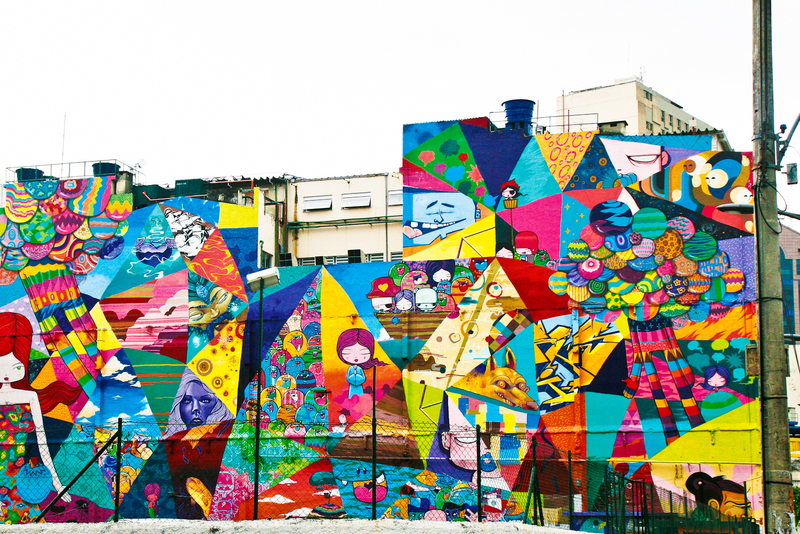 Some of the bright street art that colours Rio de Janeiro. Houses cling to Rio's mountain side. Famous Copacabana Beach in Rio. Craig Tansley returns to Rio after a traumatic first visit over a decade ago to see if the city has really changed its ways. To be fair, I had been warned. Two days later I’m swigging from a cold bottle of beer on Copacabana Beach under a bulging, big blue sky. It’s late in the afternoon; tourists lie smothered in suntan lotion as locals play frenetic games of beach football around them. A teenager approaches. “Cigarette?” he asks me. I notice his wispy adolescent moustache and the peppering of acne across his young cheeks. “Sorry, don’t smoke,” I tell him. “Money,” it’s more a statement than a question, but I’m safe here, surrounded by American tourists. Then he lifts his T-shirt and I see the gun protruding from the waist-band of his pants. Time distorts and loses its way: like those moments just before a car crash. I take too long; two more boys appear from the shadows, they hold my arms, forcing me down onto the hot sand. The teen with the gun takes the reais from my pocket. I look around for help, but all heads are turned. The shock kicks in as I enter the lobby of my hotel. I expect staff to be stunned; perhaps a little angry. I demand the police, but the receptionist dismisses me: “The police won’t come, they can do nothing. Do you need an insurance form?” She hands it out like it’s part of their five-star service. Between 1979 and 2000, 48,000 people were killed or injured by firearms in Rio; while homicide was the number one cause of death for 15- to 44-year-olds. Twelve years later and I’m riding in the back of an open-air jeep straight up and into the heart of one of Rio’s most notorious favelas, Vidigal. 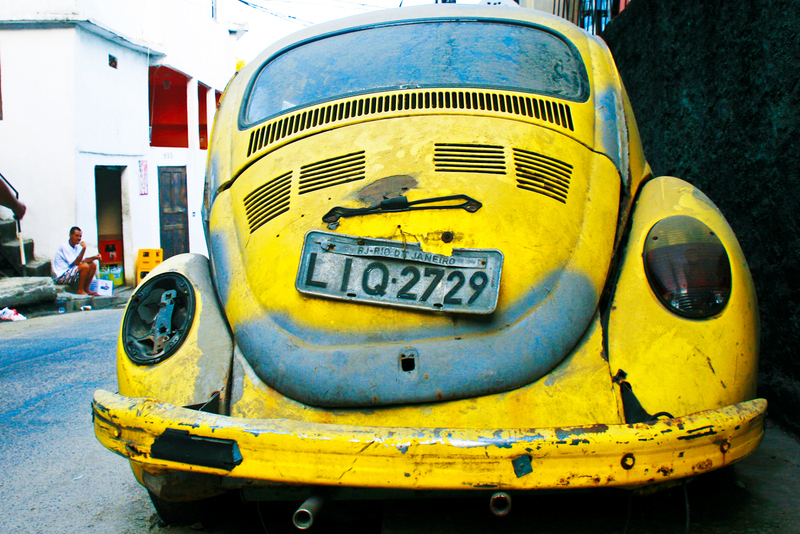 I’ve resisted returning to Brazil; for months after my beach robbery I jumped at car horns. When I figured the fear had finally gone, a heavily tattooed American tourist in Sydney’s The Rocks brought me undone: “Hey buddy,” was all he’d called out. I wonder what he must have made of me running away down the cobbled streets as he shouted “I just wanted a picture in front of the Harbour Bridge!”. It’s immediately obvious that this is a different Rio to the one I encountered over a decade ago for the very simple fact that I’m still alive. We wind our way up impossibly narrow streets; beside us locals shop in tiny hole-in-the-wall grocery stores, while old men play dominoes and drink beer in ramshackle bars. Women hang out washing on lines spread between jackfruit and mango trees that grow from gaps in the concrete, while their children play fierce, frenzied games of football wherever they can find a flat spot. High in the sky above, more kids make their kites dance on the warm breeze alongside circling frigates. Except for the electricity wires that precariously wrap around anything standing remotely upright – and especially in the gentle apricot hue of early evening – Vidigal looks the epitome of happy village life. We find a hostel with a terrace bar that looks out across Rio and its famed white beaches; if there’s a more delightful vista anywhere in the city I am yet to find it. “You like?” my guide Thiago Bomfin asks. He doesn’t wait for the answer; he knows. He can barely keep up with demand from tourists wanting to visit. A paper by Stanford University declared the former living conditions in Rio’s favelas even deadlier than for those who lived through the worst of the Israeli-Palestine conflict. Drug gangs once controlled almost every favela in Rio – lawlessness was a way of life. Then Rio won the staging rights to the 2014 World Cup and the 2016 Olympic Games and the government decided the world’s biggest sporting events couldn’t take place in a city controlled by outlaws. Elite military forces were called in to take control of the favelas in a process known as ‘pacification’. 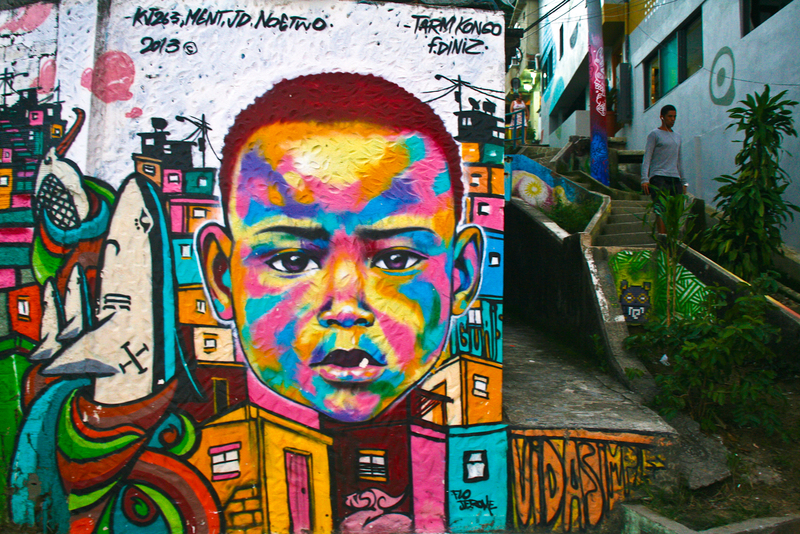 Over 35 favelas have been ‘pacified’ since 2007. The tactics used were infamously heavy-handed, attracting worldwide attention, much of it far from positive. While it’s not quite time to pack your pearls to wander Rio’s streets (who can forget the government’s warning to World Cup tourists: don’t scream if mugged to minimise the chance of being murdered), the Rio of 2014 feels a darn sight safer than the city I visited previously. 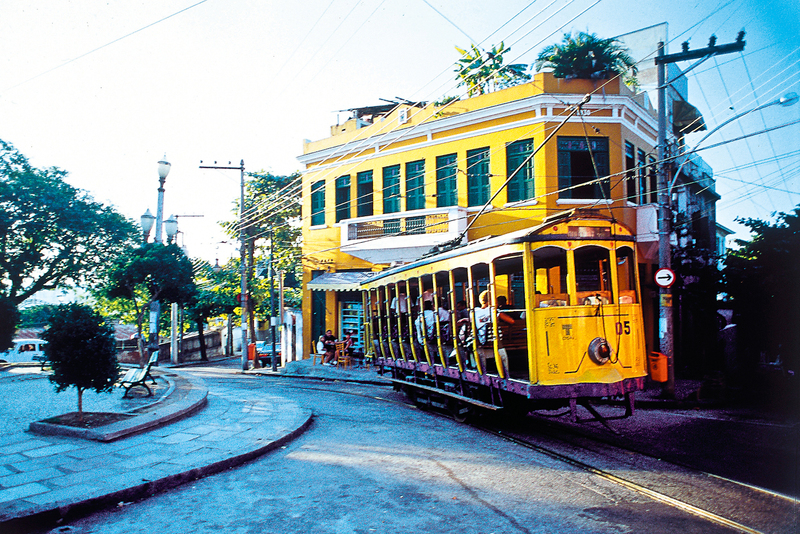 Nowhere epitomises the changes in Rio more than Santa Teresa. 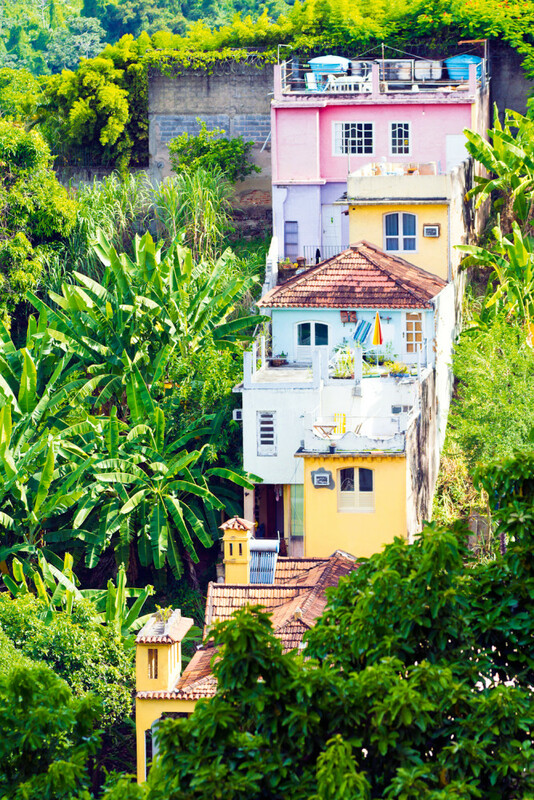 A village of winding cobbled streets, gracefully-ageing colonial homes and bohemian cafés, Santa Teresa looks down on Rio from high above a narrow ridge of old-world mansions. Just a few metres below town, favelas spread out across the hillside in every direction. Where visitors were advised to bypass Santa Teresa at night and to exercise great caution by day, now they flock in their thousands to Rio’s most charming neighbourhood. On weekends they spill out onto sun-drenched streets waiting to dine alfresco at some of the city’s finest restaurants. There’s markets on every corner it seems, while along narrow roadways, patrons balance high above me on iron-gabled balconies drinking wine. Christ the Redeemer appears when I least expect him through thin layers of low cloud, and below I can see where James Bond fought off a villain on top of the gondola that runs to Sugar Loaf Mountain. I eat a lunch of suckling pig caramel with sugar cane molasses inside a former coffee plantation, now the Santa Teresa Hotel, luxuriating in the regal surroundings, and just a little overcome by the locals around me (British writer AA Gill said it best on first observing Cariocas: “I’ve never seen a collection of people who are so alive and comfortable in their own bodies. They wear themselves as if they were bespoke tailored”). Just below Santa Teresa, the rough-and-tumble district of Lapa is another to have gone through a drastic metamorphosis. Once Rio’s red light district, before falling into total dereliction, Lapa was, like Santa Teresa, an area visitors were best to avoid. Now it’s the city’s most exciting night-time destination: the music capital of Brazil. The music scene has brought with it gentrification: abandoned blocks have turned into some of the city’s finest restaurants, night clubs and galleries. The best spot to be in Lapa is the Rio Scenarium. There’s a long line-up outside but when I make it into this formerly dilapidated warehouse, I see why London’s Guardian newspaper calls it one of the world’s 10 best bars. Cocooned here within three floors of antiques, old brickwork and soft mood lighting, pulsating samba music fills every nook and cranny; and soon every last patron finds the dance-floor. While Lapa and Santa Teresa seem glowing representatives of the ‘new Rio’ in these days of World Cups and Olympic Games, in reality they actually hark back to Rio’s Golden Age – the 1920s to the ’50s – when the city became the world’s most romanticised high society destination; a time long before the opportunist muggers on Copacabana Beach. Another area that will see big changes before the Olympic Games commence is the old port region, set to become Rio’s museum and arts centre; a year or so ago it was not much more than a ghetto. 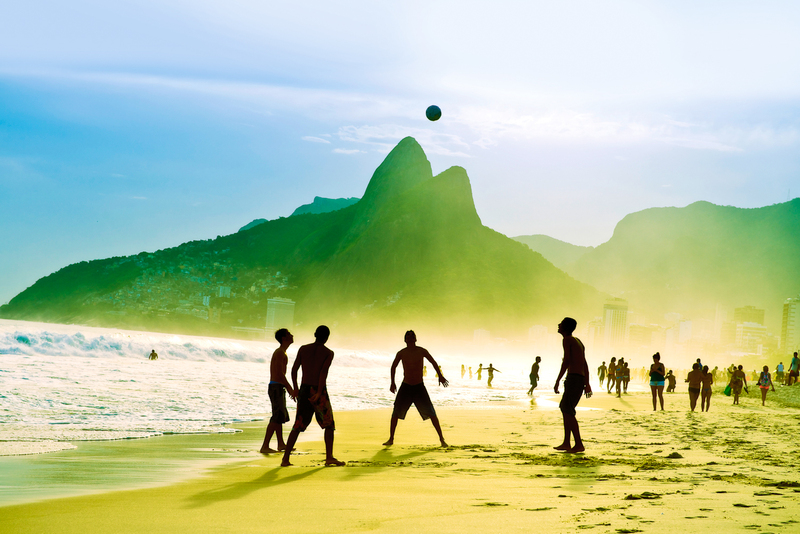 But nothing has – or ever will – alter the frenetic energy of South America’s most lively city. Life happens outdoors in Rio; apartments are cramped and Cariocas much prefer sunshine, gossip and melodrama (as you pass them by you learn as much about local life than if you’d entered their front doors). The city’s traffic problems are set to escalate as the city builds new roadways for the Olympics, but I soon learn to curb my impatience and concentrate instead on people-watching, one of Rio’s best tourist attractions. When the pace of life and the incessant heat gets too much for me – and it does: Rio will wear down most visitors – I escape to the Tijuca, the world’s largest urban forest, which grows right up to the city’s outskirts and offers a cool, peaceful temporary reprieve. On my last day in Rio I return to the scene of my mugging. It doesn’t take me long to locate the setting – I remember how close it was to the city’s most internationally revered building, the Hotel Copacabana; yep, the one from that song (“at the Copa, Copa-cabana…”). I position myself as I did that day in the sand. Again the sky is cloudless, as it always seems to be in Rio. High school kids practise place kicks against a luckless goalkeeper. Men in too-tight, too-tiny briefs with greased muscles strut beside women in the sheerest of G-strings. Behind me, Christ looks down on them all from atop his mountain, forest creeps from every crack and favelas hold on for dear life along sheer mountain passes; no city on Earth tilts and teeters like Rio. LAN operates daily flights from Sydney to Santiago, Chile, (via Auckland) with onward connections to Rio with TAM Airlines. LAN also offers three direct flights weekly from Sydney to Santiago in code-share with Qantas. 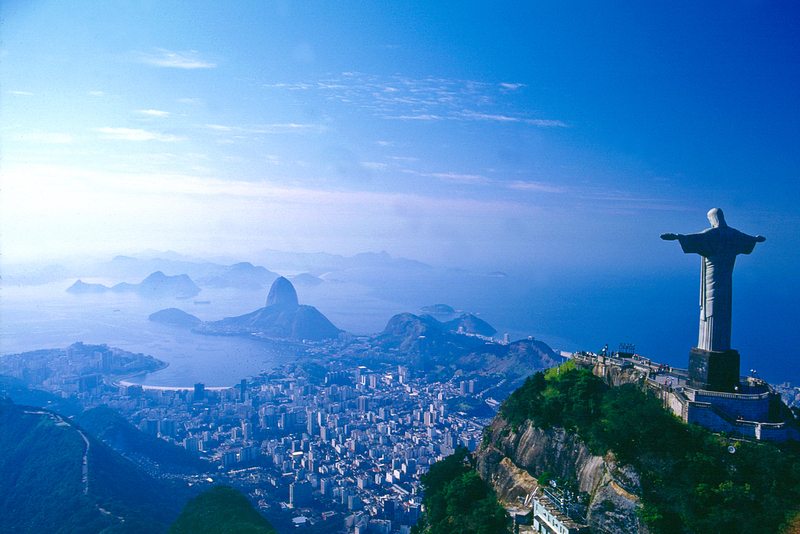 Adventure World has a range of tailor-made holidays in Brazil including Rio, or try the Highlights of Brazil package from $4372 per person. 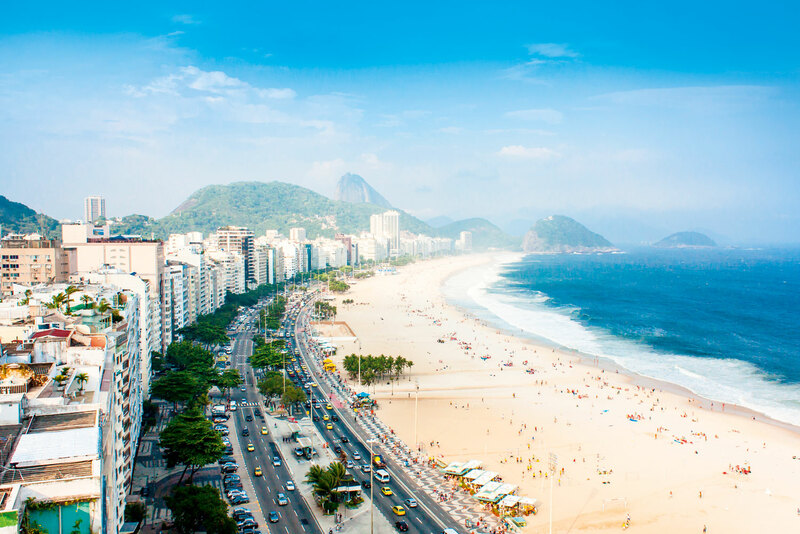 Stay by Copacabana Beach at the Windsor Atlantica. Hotel Santa Teresa, a colonial mansion in the Santa Teresa neighbourhood. Brazilian chocolate – made from Brazilian cocoa, it’s arguably the world’s best. For the fanciest designer chocolate in Rio check out Aquim in Ipanema. A bottle of Brazil’s national spirit, Cachaça, distilled from sugar cane. Just add sugar and lime and make your own Caipirinhas at home. The sheerest bikini from Lenny Niemeyer because where else can you wear such skimpy swimmers in public? Pick up the coolest linen shirts and swim shorts for him at one of Rio’s hippest designer stores, Foxton. O que esta acontecendo a noite? Hong Kong shopping guide and more!